Store all electronic and digital images in an online repository accessible from any location via the internet. 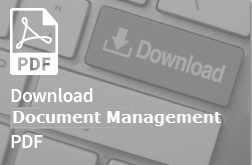 Offload the worry of security, compliance, and management of your documents. Gain online tools to search, retrieve, view, download, track versions and more. Web portal for convenient and secure access to your images and data. Online access to send files. Online access to receive files.